Loxahatchee Groves Planning & Zoning Committee Member Robert Shorr has filed to run for Seat 4 on the Loxahatchee Groves Town Council. The seat is being vacated by Mayor Dave Browning, who chose not to run again after holding the seat since the town’s incorporation. Also running for Seat 4 is candidate Karen Plante, who did not respond to several requests for an interview. Shorr was born in Palm Beach County and grew up in Greenacres and served six years in the U.S. Navy as a nuclear power plant mechanic on a cruiser out of San Diego. He has an associate’s degree in engineering from Palm Beach State College. 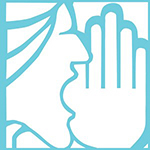 “I worked for the Solid Waste Authority for a couple of years, and I worked for Palm Beach County Water Utilities at the Palm Beach County Facilities Department. So, I was an electrician, a utility operator and a project manager,” Shorr said. After that, he worked for the Department of the Interior at a wildlife refuge briefly before opening his own business, Accurate Balancing & Commissioning. 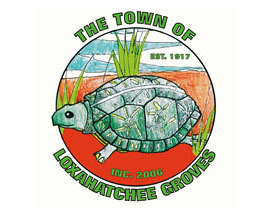 Shorr moved to Loxahatchee Groves six years ago. Shorr said he was not pointing fingers, but felt that after serving for a while, council members get complacent. Shorr has sat on the board of directors for the South Florida Fair for 20 years and sits on the state board for the Environmental Balancing Bureau, which tests air conditioning systems and commissions building performance. Shorr owns a home on five acres, where he has horses, pigs, chickens and cows. He is married with two grown children, a granddaughter and two grandsons. Shorr said he enjoys the council meetings and looks forward to running and serving. Shorr feels that if Loxahatchee Groves had not incorporated, it would have met a similar fate. What is lacking, however, is a shared vision for the future, he said. Shorr noted that the town is finally putting in a lot of drains, but he doesn’t agree with its methods. Shorr believes the town’s road paving program is also misdirected. Shorr also wants Okeechobee Blvd. to be the main street of town with additional traffic calming. “When somebody goes down Okeechobee, I want them to know they’re driving through the middle of Loxahatchee Groves, so if they don’t want to see roundabouts or other types of traffic-calming devices, then they shouldn’t take that road,” he said. Shorr said Okeechobee Blvd. is calmer since the town imposed a 30-mph speed limit, but the slower speed has presented a problem with illegal passing. “It has limited some traffic, but at the same time, it has caused another issue of people passing people and creating a dangerous situation. I believe that’s inherent to the long, straight stretch of road,” Shorr said. The election will be held Tuesday, March 12. Two other seats are also on the ballot. Seat 2 incumbent Vice Mayor Todd McLendon is being challenged by former Loxahatchee Groves Water Control District Supervisor Laura Danowski, while Seat 3 incumbent Councilwoman Anita Kane is being challenged by Lisa El-Ramey.